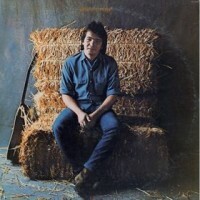 People who don’t listen to country music much tend to consider John Prine a country artist, it seems, while people who do listen to country music consider him a folk artist. I guess non-country fans are taken by how country-sounding this music is; and I guess country fans are taken by how un-country these lyrics are. This could be called country music in retrospect, but Nashville didn’t put up with songs that deal with the subjects Prine wrote about. Still doesn’t, in fact. Some singer-songwriters of this era wrote both funny songs and serious songs. Jim Croce did it. So did Prine’s pal Steve Goodman. And Jimmy Buffett. But Prine was different–he somehow blended his humor together with his more serious sentiments, rather than separating “funny” songs from “serious” ones. It’s uncanny, really.